Studio, 1 and 2-bedroom unit types, with a weighted average unit size of approximately 648 square feet. Alon Shnitzer, lead broker for the transaction and Senior Managing Partner at ABI Multifamily. high growth area, while still having a lower price point as its entrance into the Phoenix Apartment market. Mid- Atlantic regions of the U.S.
Queens, the Bronx, Washington DC and Phoenix, Arizona with additional commercial holdings in Manhattan. 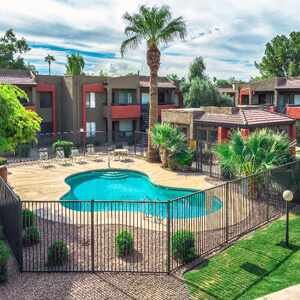 VM’s portfolio consists of multifamily assets in the greater Phoenix area.